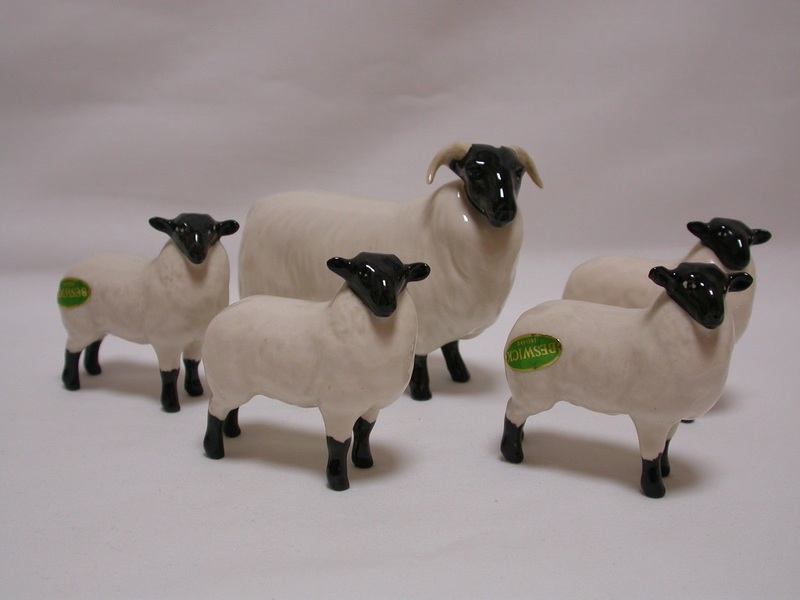 A beautiful�family gathering of Black-Faced Sheep and Lambs�by Beswick.� They are models 1765 and 1828 and are�finished in a high gloss glaze.� They were designed�by Mr Garbet and Arthur Gredington and were produced between 1963�and 2002.� They all carry�the earlier oval "Beswick�England" backstamp.� These Beswick�pieces are extremely collectable. This family of Black-Faced Sheep and Lambs�are�in excellent condition, having no chips, cracks, repairs or restorations.� They have�no�crazing.��The colours are bright and vivid and this family�displays brilliantly as a set. All of these pieces are available for sale separately (see separate individual listings for more details and photos).